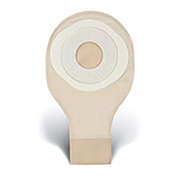 NewLeaf Home Medical offers a complete line of ostomy supplies and accessories at the lowest prices. We offer both one and two-piece colostomy pouches with either pre-cut or cut-to-fit options. Some colostomy pouches use adhesive to attach to the skin while others are strapped-on and supported by belts. 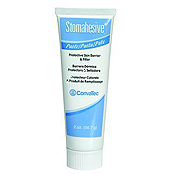 We also offer all varieties of products that are necessary for the proper care and treatment of colostomy, ileostomy or urostomy issues, especially skin irriation caused by ostomy adhesives. 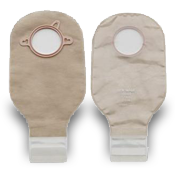 There are several styles and sizes of colostomy pouches available with a varitey of features. Pouches are lightweight and typically have soft cloth on one or both sides to keep the pouch from sticking to one’s body. Some pouches offer a charcoal filter that will slowly release a gas to help reduce odor. Super fast Same Day Shipping, Discreet Packaging, Guaranteed Lowest Prices and Outstanding Customer Service. If you can't find what you need in our store, please call us at 888.739.4330 - We'll locate the product through our supplier network and have it shipped direct to you immediately. An open-ended pouch allows for drainage from the base of the pouch. The open end of the pouch is generally closed with a clamp. A close-ended pouch is removed and then thrown away each time the pouch becomes full. 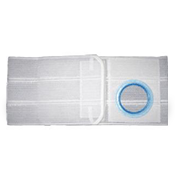 A one-piece pouch is made up of the adhesive skin barrier and the pouch all in one. When the one-piece pouch is removed, the new pouch is reattached to the skin with its adhesive skin barrier. A two-piece pouch has a pouch and an adhesive flange. The flange will stay in place while the pouch is taken off, and a new pouch is attached to the flange that has stayed in place. 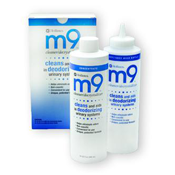 This alleviates the need for the pouch to reattach to the skin every time it is changed. This type of pouch is extremely helpful for those with sensitive skin. Pre-cut pouches have openings already cut into them. Cut-to-fit pouches are custom cut to fit the shape and size of one's stoma. 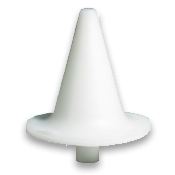 Stoma covers or caps are put on the stoma while it is not being drained. 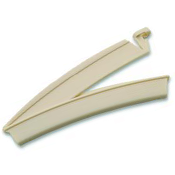 These are usually used by those individuals who irrigate their pouches. A film is sometimes put on the skin of an individual who has sensitive, oily or dry skin to help prevent damage to the skin from the adhesive. These products are used to protect the skin from the output containing the proteins that break down food (digestive enzymes). These digestive enzymes can damage or irritate the skin.